More and more allergy medications are becoming available over the counter, without a prescription, including Allegra, Claritin, and Zyrtec. That leads many parents to treat their children's allergy symptoms on their own, without first consulting their pediatrician. There is usually nothing wrong with that, as long as you are really treating allergies and not something else, like a cold or sinus infection. That makes learning to recognize allergy symptoms important. In addition to having symptoms that always occur during a certain time of the year (seasonal allergies), you can suspect allergies if your child has symptoms after being around a specific indoor allergy trigger such as dust mites, pet dander or mold. As allergies worsen or linger, children may also develop a sore throat, headaches, and coughing, and their allergies may interfere with their sleep, leading to daytime irritability. 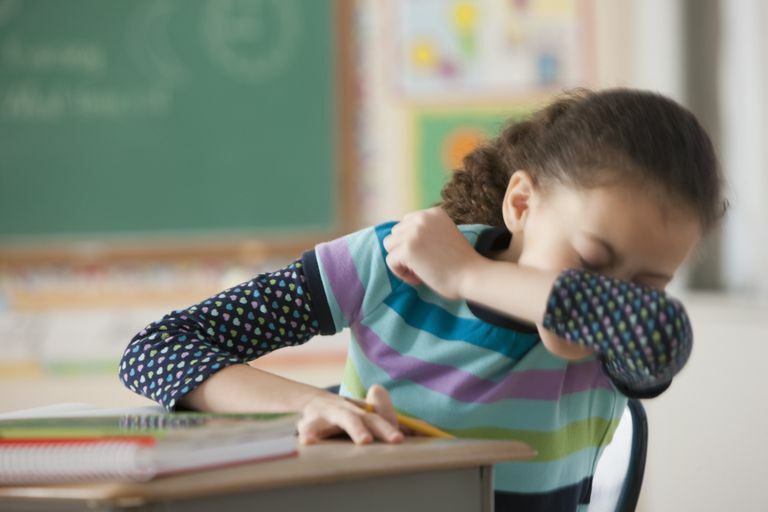 It is these allergy symptoms that are often confused with having a cold or sinus infection, as many parents don't believe that allergies should get "so bad." In addition to these allergy symptoms, children with allergies often have dark circles under their eyes (allergic shiners) and may have a crease near the bottom of their nose (allergic crease) from rubbing their nose so much (allergic salute). If a child also has asthma, uncontrolled allergies may also trigger asthma symptoms, leading to coughing, wheezing, and trouble breathing. And allergies to foods, medications, and insect stings can lead to other allergy symptoms, such as hives and anaphylaxis. Although a clear runny nose, congestion, and sneezing are all classic allergy symptoms, it is important to keep in mind that they are also common cold symptoms. A green or yellow runny nose or fever are also more likely with a cold and are not typically thought of as occurring with simple allergies. Is your child in one of his typical allergy seasons? Has your child been exposed to something that typically triggers his allergies, such as a cat or dog? Has he been around anyone else who has a cold? Are his allergy medicines working? Instead of allergies, your child may just have a cold if his allergy medicines aren't working, everyone around him has a cold, and he hasn't been around his usual allergy triggers. This is especially likely if he has a green or yellow runny nose or a fever.